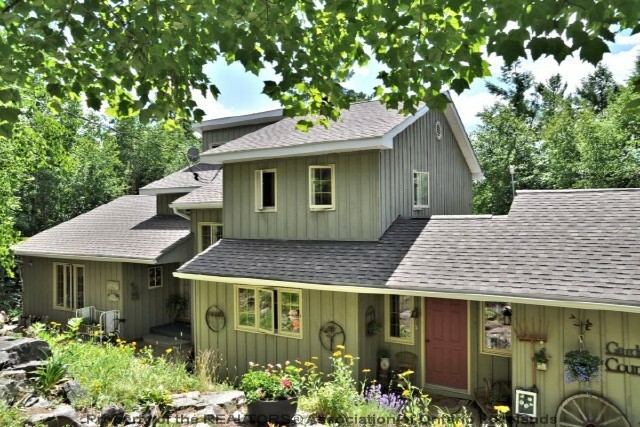 "4 season retreat in the heart of Haliburton." 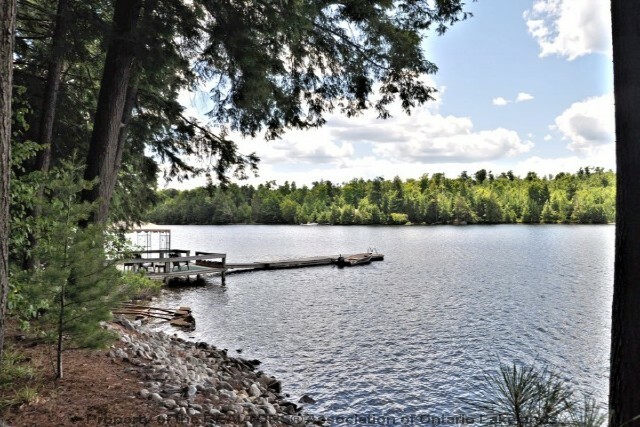 The 3500 square foot home/cottage is situated on 3 very private acres with 172 feet of frontage, southwest exposure, and gorgeous waterfront with clean deep water. 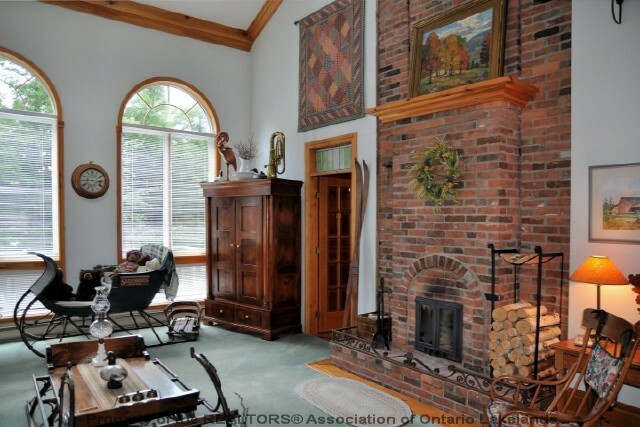 5 spacious bedrooms, 3 full baths, private master with ensuite and fully finished lower level. 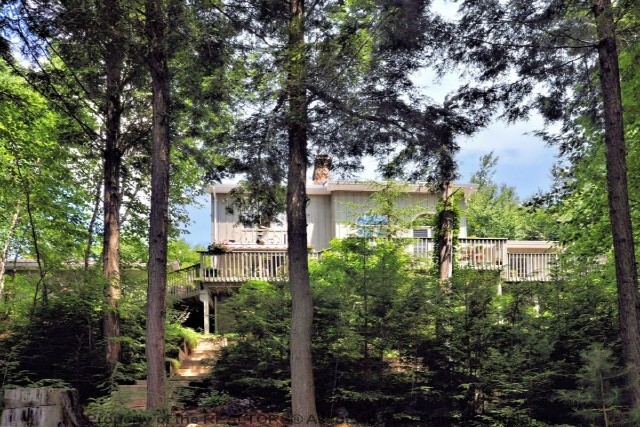 This property is perfect for those who have a large family or like to entertain. 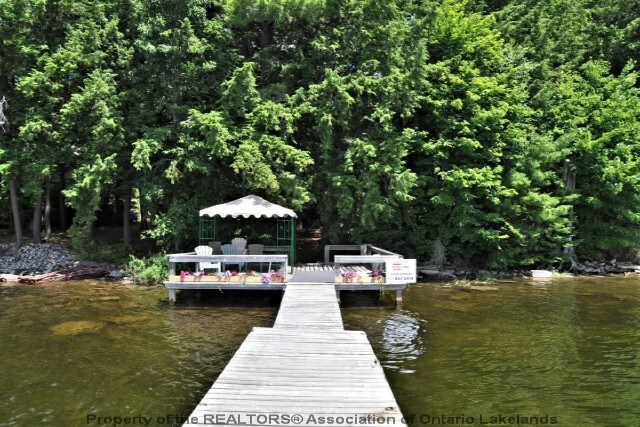 Features include an open concept eating/dining area with walkout to the extensive decks, a large kitchen w/ SS appliances, attached double garage, mudroom, main level laundry, and a floor to ceiling Temp-Cast Enviroheat Fireplace servicing the great room and lower level family room. 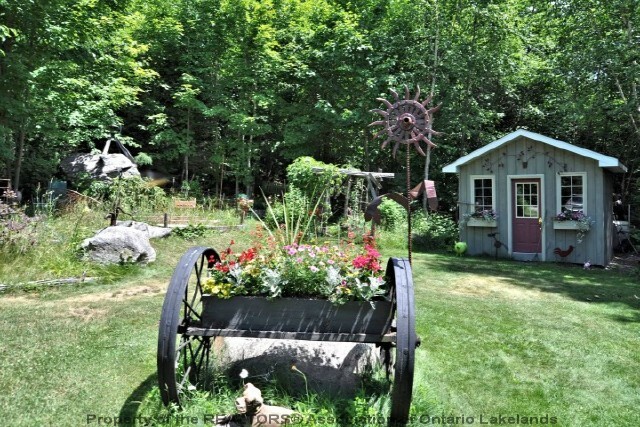 The grounds contain extensive landscaping with granite rock walls, lovely perennial gardens with paths, and very easy access to the waterfront where there is a large deck to sit and enjoy the views. 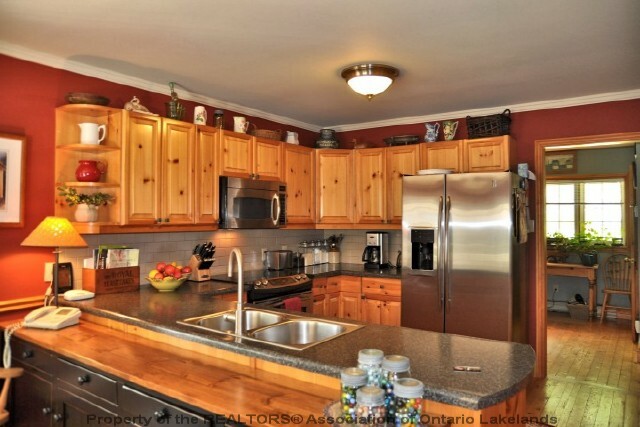 Conveniently located to snowmobiling trails, Sir Sam’s Ski Resort, and the Haliburton Forest.